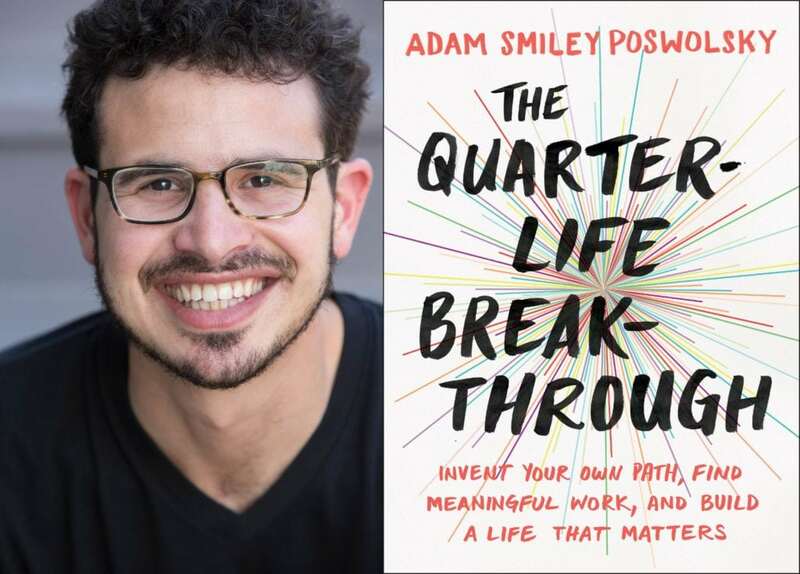 Adam (Smiley) Poswolsky is the author of The Quarter-Life Breakthrough, a bestseller and #1 top-rated job-hunting book on Amazon. His next book will be published by Perigee (Penguin Random House) in 2016. He has inspired young professionals and entrepreneurs to find fulfilling work as director of community engagement for the Hive Global Leaders Program, and previously as director at The Bold Academy. Smiley is a mentor for the StartingBloc Institute for Social Innovation, and a teacher for General Assembly and The Passion Co. Smiley has spoken about finding meaningful work at Fortune 500 companies, international conferences, leadership development programs, universities, and graduate schools. Smiley writes stories about purpose-driven millennials who are making a positive impact in their communities. His writing has been published in The Washington Post, Fast Company, Forbes, and GOOD, among others. He previously worked as the special assistant to the director of global operations at the U.S. Peace Corps. He is a proud graduate of Wesleyan University, and can usually be found dancing in San Francisco, California. Learn more about Smiley and his story at campuspeak.com/smiley.